Hi! Thanks for coming! Please, take a seat! Let me say that I’m just happy you came to hear about my summer study abroad in Guatemala. This origin story will only take a few minutes, I promise. The only way I might’ve guessed two years ago B.C. (~before college~) that I’d study abroad in Antigua, Guatemala, this summer is if I had run my hand along a spinning globe until the bumps under my fingers slowed down and by chance I landed on it. Let’s be real, folks. 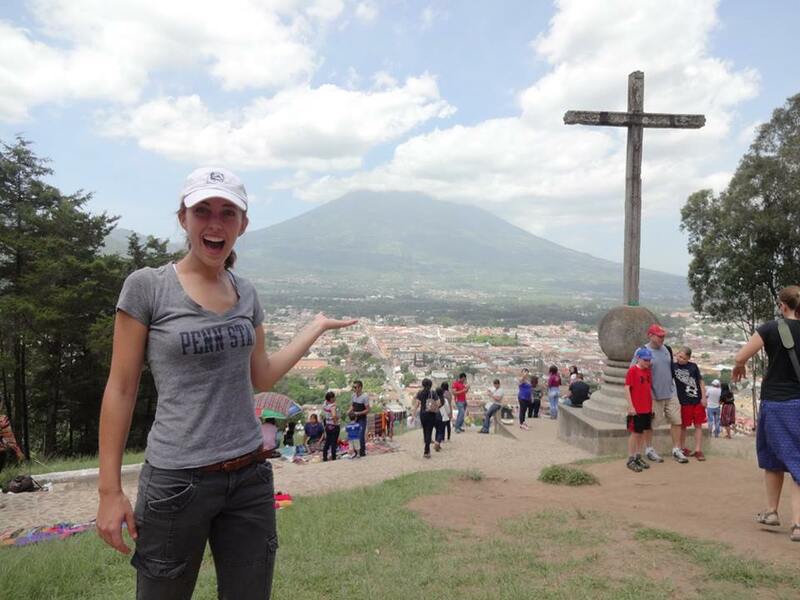 I’m from a small Pennsylvania town outside of Valley Forge and Philadelphia, and I study English and Secondary Education–you wouldn’t have guessed Guatemala as my summer study spot either. Serendipity is the shortest answer. The Spark Notes summary might say that I signed up for a Latin American history class on a whim during my first semester in college, which sent me in a different academic direction than I had planned. In one semester, I felt my stomach drop in surprise like it was dropping down a canyon. My brain clouded with dust as everything I thought I had known about the United States’ interactions with Latin America swept away and new information settled. I know my professors got a kick out of how frequently my eyebrows shot up and I went, “Really? That happened?” To them, I was late to the proverbial party like a kid shouting the obvious, ‘Smoking is Bad For You,’ at today’s doctors. 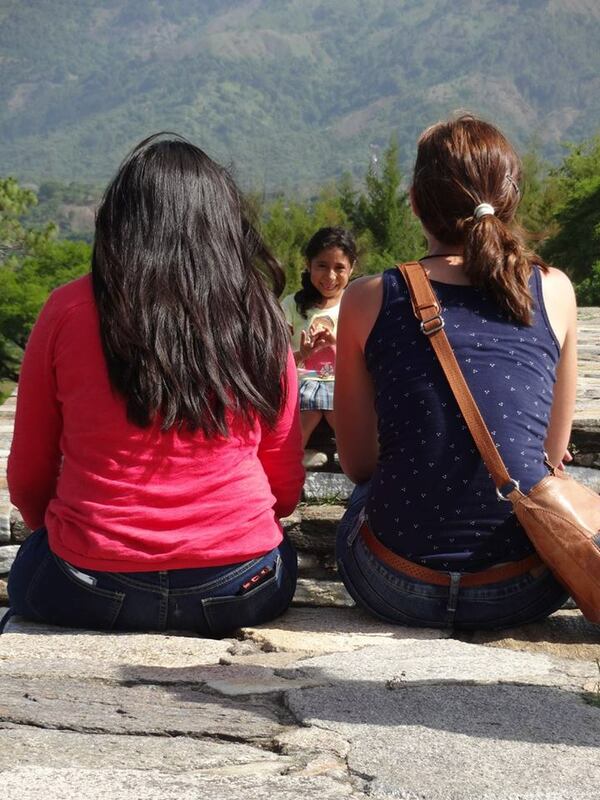 The history of Guatemala struck my heart more than any other, and I can’t express how much I really, really mean that. 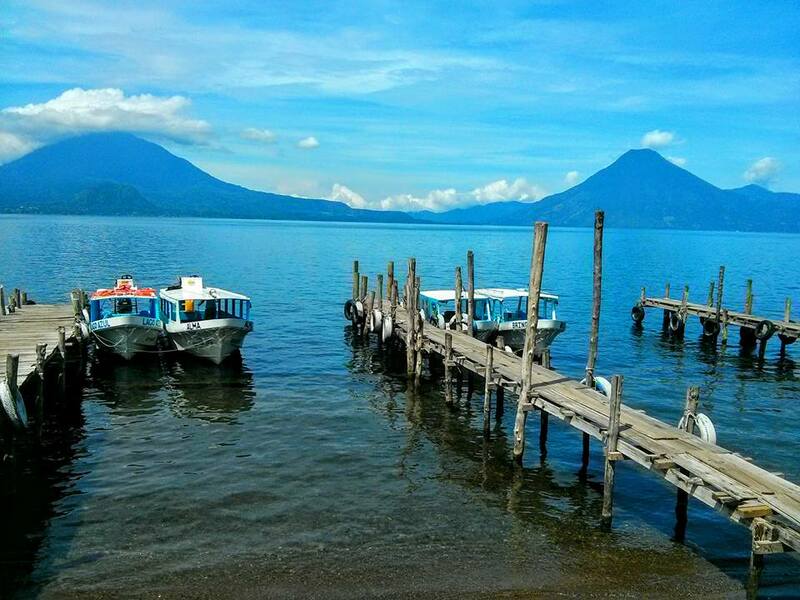 Because of my thesis, I searched all over my friendly, neighborhood interweb for a study abroad program in Guatemala. In a way, all of my research and coursework over the past two years has been preparation for my summer abroad. I’m as “prepared” as one can be to step into a new world. I’ve got my multiple canisters of bug spray (you have to wear it all the time, from when you shower in the morning to when you get ready for bed). I’ve got my versatile clothing ready for hot sun, cool rain, or hot rain. I’ve read all the travel notifications, reviewed my verb conjugations, and packed my vitamins. But man, oh man, you can bet that I’m anxious. I’ll miss my family and friends. I’ll miss French toast with maple syrup and knowing the best places to go running. Most of all, I’ll miss my sense of secure comfort. Ben Franklin, I’ve a feeling we’re not in Pennsylvania any more. In Guatemala I don’t have home field advantage and I know I’m going to need a generous learning curve. 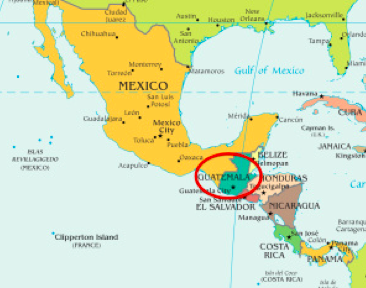 Guatemala also represents my “Big Plans.” It’s the essence of everything I’ve said I’m going to do for two years, so you can bet that now that the someday is tomorrow, there’s a small voice in me that can’t sleep that wants to whimper “just kidding” and curl up in my hometown. But it’s a small voice–nothing a little bit of humming and crossing my fingers can’t fix. 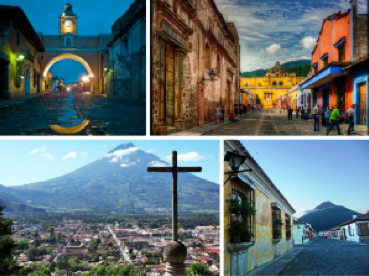 Tomorrow I go to Antigua, Guatemala, to study through the University of Arizona a whole new language, history, and culture until August 8th. I’m excited and terrified to finally step into the world I’ve read about for two years, and I know my time’s sparser than chips in a complimentary bag of Lays. 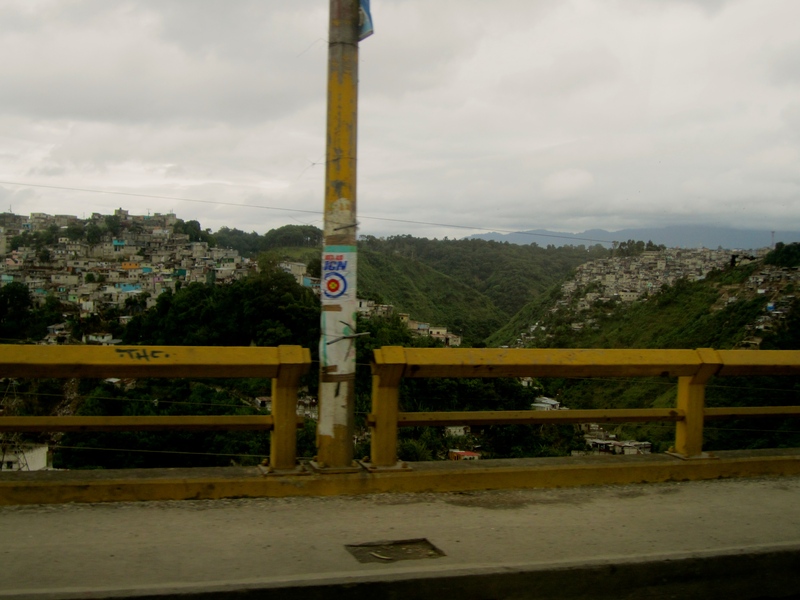 I’ve got exactly fifty-six days and nights in Guatemala, and every week I’ll post my stories. Wish me luck as I head out. Like I said, I’m just happy you stopped by to hear what I have to say. One of the things I was most scared about for my study abroad trip was making friends. It sounds so first-grade sometimes, but I really didn’t know how I was going to do it. Especially in another language. However, I have managed to prove myself completely wrong. I have made friends in almost everything that I have done here. In class, playing sports, on the bus, at home, going out, traveling, you name it. It’s been the greatest part of living here. 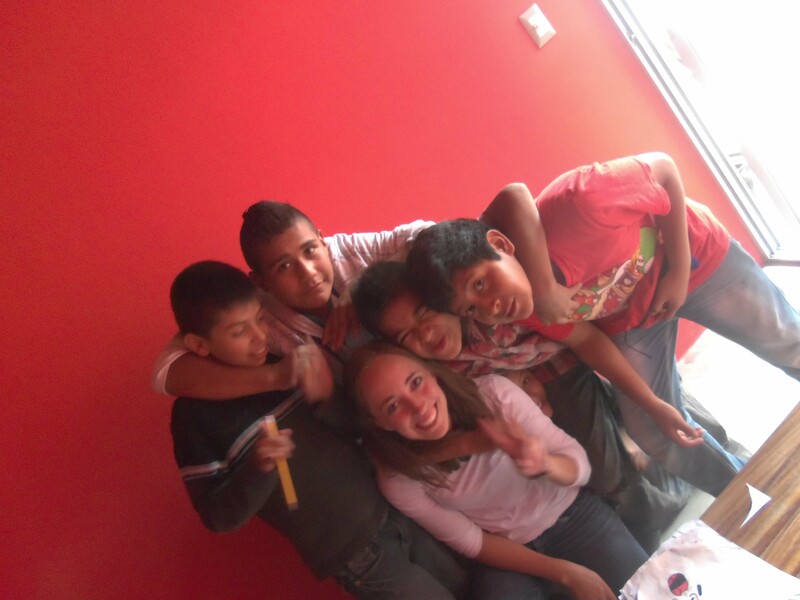 My Ecuadorian friends mean the world to me now. They have taught me way more than I’d ever learn inside a classroom and have begun to inhabit a very special place in my heart. One friend I’ve made here has taught me something huge about myself that I never knew before. I learned that I actually find so much joy in teaching others. I’ve always known I could be a teacher if I ever wanted to because my entire family consists of teachers, but I never thought I’d enjoy it. However, I’ve recently been shown otherwise. 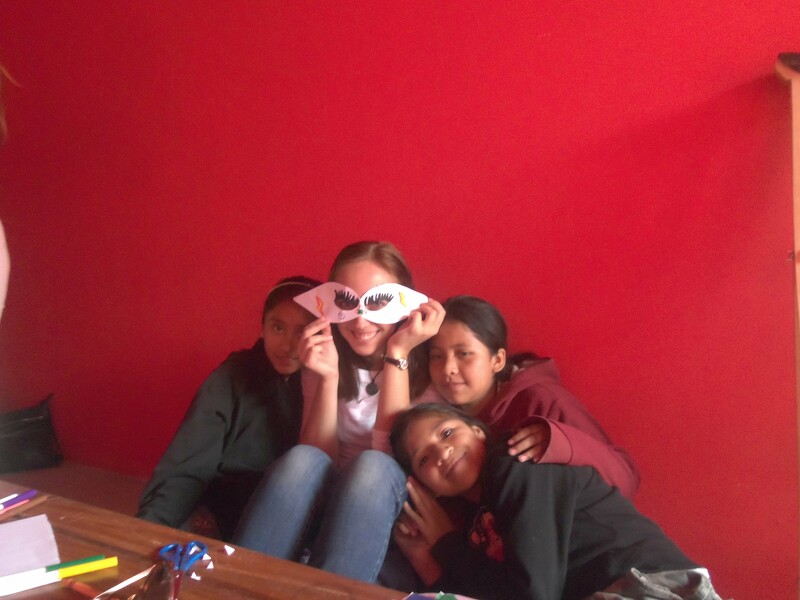 It is obvious that I am in Ecuador right now to learn Spanish; but, a lot of students my age also enjoy the fact that I can help them learn English. At the beginning of the semester, I became part of a diversity club on campus that partners up a native Spanish-speaker with a native English-speaker to have conversations every week. These talks are half in Spanish and half in English so that each partner can have an opportunity to practice their second language and learn from a fluent speaker of that language. It’s a great resource for practice. On top of this opportunity, my closest Ecuadorian friend, Santiago, and I have this friendship where we can ask each other anything and are both more than willing to help the other with whatever they need. For example, whenever I don’t understand a detail of why Ecuadorians use one word over another, I just ask him and he sits down to explain it to me. So, a few days ago, Santiago and I had our first conversation in English. He is a little bit shy, and he hasn’t ever asked me to talk in English with him before because he is still in the beginning stages of learning the language. But that day, we hung out for over an hour speaking in my language for once, and I found such joy in my heart in helping him figure out words he couldn’t understand or expressions he didn’t know; seeing his face light up when something finally clicked in his head was irreplaceable. Teaching him my own language was actually incredible, and I absolutely loved doing it. One of many things that I can add to my list of Things-That-I-Have-Learned-About-Myself-Abroad is my love for teaching those who genuinely want to learn. If it wasn’t for some of my Ecuadorian friendships, I never would have known about this part of me. How cool is that?? 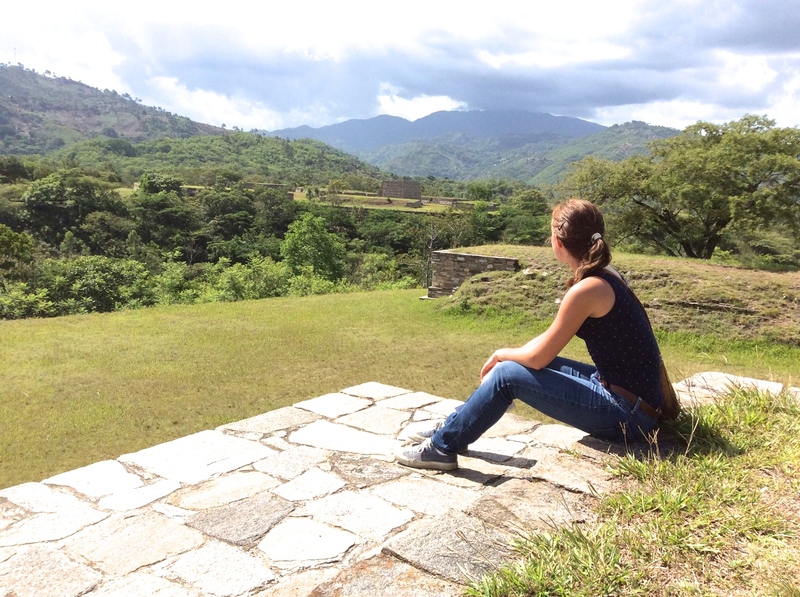 This study abroad experience has had a substantial impact on my academic and professional goals, but not in the typical sense of “now I know what career I want” or “now I know what graduate degree to get.” Rather, it has given me the courage to not settle for something I don’t believe in or don’t have a passion for. This experience abroad has given me the confidence to ***cliché alert*** reach for my dreams. Let me see if I can explain myself. Like many other languages, Arabic is hard. It challenges my abilities constantly. It’s empowering. It’s frustrating. One moment I feel like I have it, then the next moment I don’t. Arabic and I definitely have a love/hate relationship. One thing that keeps me going is my passion for what it provides me: the ability to delve into the profundities of Middle Eastern culture. Speaking with natives for two hours a day in Arabic was a daily homework assignment that required discipline, but for me it was also a great privilege. Being a language learner means becoming vulnerable. That vulnerability broke down a lot of social and cultural barriers and gave me access to the hopes and fears of real people. The study abroad gave me a chance to check my arrogance at the door and really understand people. It enhanced and complemented my world view giving me insight into issues I had previously not had. This is a main reason for my study of Arabic aside from the fact that I have really come to love the Arabic language. I didn’t choose to study this language just to have a competitive edge on job or grad school applications or to sound exotic; I chose it because I have a genuine desire for it. My future has been determined by the study abroad because I am no longer afraid to pursue something I am passionate for because conventional wisdom says I should do something else. I don’t have to let others dictate to me what graduate degree to get or what career I am best suited for. This experience has taught me that there is no one pathway to success. There is no one degree to get or job to aim for. Every person is different. We each wind our own way through life. Why not wind your way doing something you love? Perhaps everything in ones life can be measured with something as simple as the sixth-grade mathematics. We learned of an object known as an open line segment. This theory may sound too simple to be accurate, but upon closer inspection, one may find clarity in his/her circumstance. Too often do individuals obtain ideas throughout their lives, and place them on either Point A or Point B. This black and white mechanism disregards the difference and the beauty that can be found in each moment because on an open-ended segment, the answer cannot be found on the two opposing points, but rather in the space between. On this segment, people will never fully have one trait or another, but rather some degree of that characteristic. The gray area that exists between the opposite ends of the segment is where one’s reality lies, for the perfection of an ideal composes the opposing points. When one polarizes the complex nature of social situations, he/she creates a stereotype that places an idea of a person or thing into the box of an ideal. It is necessary to examine that which cannot be defined because if we do not, then we gain a satisfied yet inaccurate judgment of others rather than a well-rounded understanding. On this studious adventure of mine in Costa Rica, I have discovered that when my reality changes – all that I am left with are my philosophies – the ideas that compose the nature of my existence. What I know about the world becomes somewhat invalid because I cannot view this new place through the same social lens, so my ideas have been whittled down to the original figures of love, persistence, positivity, and other things that are inherently human. When one says that they want to study abroad because they would like to find out more about themselves, I believe that is essentially what they are describing. Because when one’s surroundings change, it is true character that will stay the same. The past month has filled me with insights that have begun to expose the shades of gray surrounding many of the prevalent social issues, such as social health care, education, and gay rights. Continuing to discover the specifics of these things has been a motivating factor for me recently. In brief, this country is run on a social health care system in that everyone – including those that work here from Nicaragua have access to it. During my first weekend here in Costa Rica, my group and I went on a tour of a coffee plantation, and explored the park of a legendary waterfall. 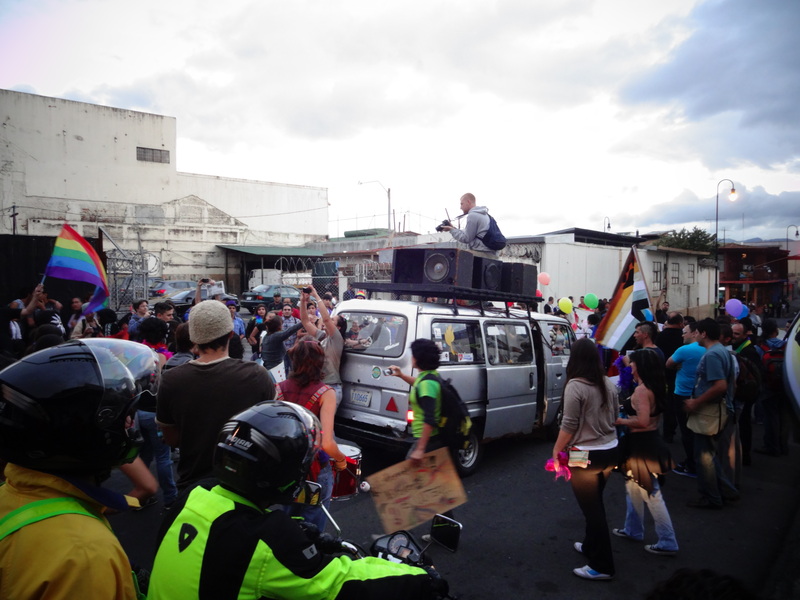 Our tour guide, Gustavo, shared his thoughts about this feature of Costa Rican politics. He used to be opposed to the system, but his sister was then diagnosed with a terminal case of thyroid cancer. 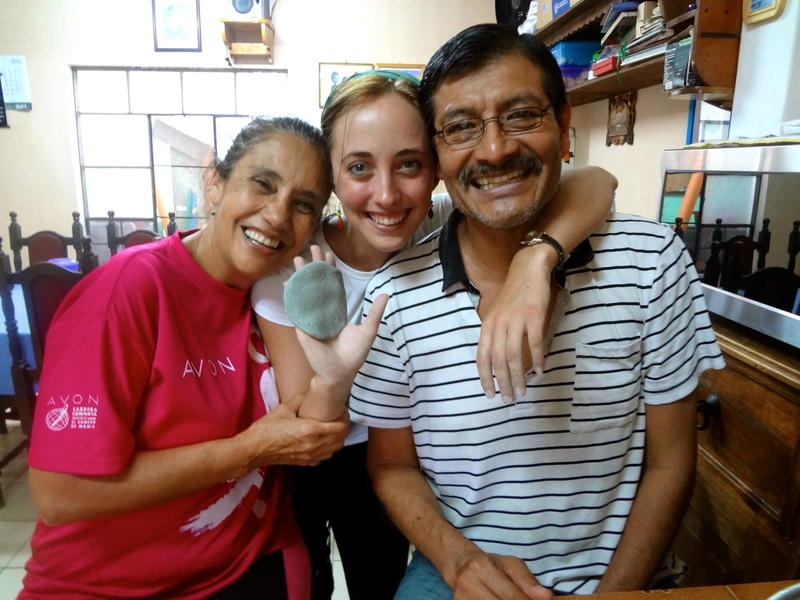 Not many survive from this ailment, and because of the health care system – she was not only able to receive a treatment that cured her, but also was able to receive substantial financial aid. Something that she would have spent the entirety of her life without paying off was reduced to something that the government took as their expense. My home-stay mother can offer another perspective on this topic. Her view is more negative due to the fact that many qualify for the same degree of assistance that there is not enough present to adequately handle problems that arise. As she sees it, if she were to get sick, it may take three years to receive satisfactory attention. The complicated nature of this issue is apparent – and as controversial as it may be – there is no black or white answer. Costa Rica is known for their phenomenal education system, but every system has its flaws. Upon arrival, I believed that the system must be very respectable because the government of this country does not have an army – it chooses instead to finance its educational institutions. As a result, the literacy rate is much higher than that of other countries, such as the United States, and it places a great deal of pride on these facilities. 1) Without going into excruciating detail – the standard of literacy is sufficiently lower here than it is in the United States. 2) English classes are highly valued – especially in private schools. 3) Religion is present in the classroom in that occasionally – one must be Catholic to teach, and the teacher leads “prayer time” at one or multiple points throughout the day. Another interesting point that can give a powerful look into the occupational nature of this country is an exit exam that students take after their high school experience. The idea is somewhat like the SAT in that it includes questions that are non-major related, and is indeed a standardized test. However, the outcome of this evaluation does not just give one a number to submit on a college application. It actually limits one’s future occupation. For example, if one does not achieve the score necessary to study communications, then that option is not a possibility. One can take additional classes to become more proficient on the exam, and then take it again. This, however, assumes that one will have the necessary resources. Every society has constructs that control the success of individuals within its population. I view this exam as a factor that sustains a socioeconomic cycle. If one grows up in an underprivileged neighborhood, then there is an excellent chance that the educational capacities of that area will not be equal to that of privileged areas. Immediately following high school, young adults take this exit exam, and have their possibilities minimized to some degree. The underprivileged population may never gain the ability to study for a higher paying profession. Comparably, in the United States, if one receives a bad score on the SAT, community college can be an alternative. From there, one can enter into a more highly ranked institution. Opportunities to step beyond the constraints of social class are more easily accessible in this regard. Before I begin – I should discuss my misguided initial impressions of this country. I had not yet experienced the social environment, therefore, my views were uneducated and ensnared by a stereotype. Homosexuality was a word that I thought would never be mentioned in my household. The opposite has proven true. I have found that not only is it acknowledged, it is supported. I am aware that my household may be an exception to the majority, but I never thought I would be living with a house of avid advocates. 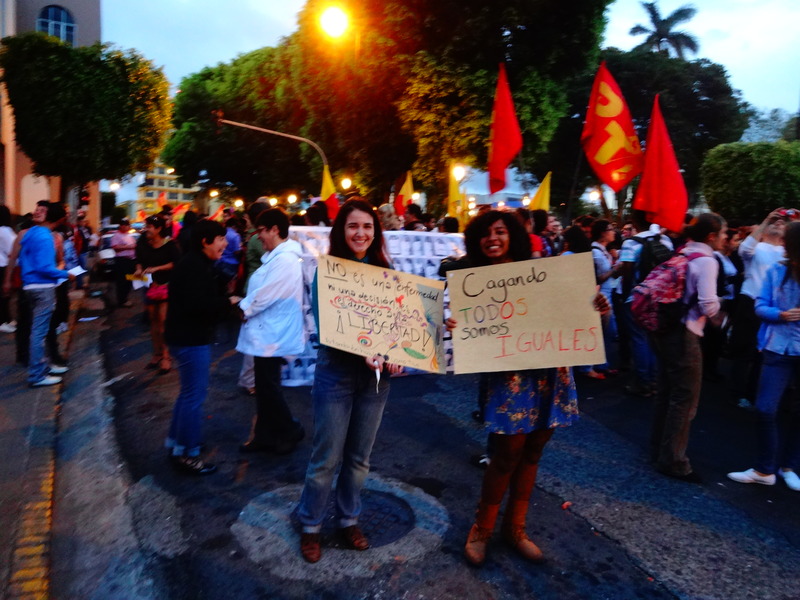 Many individuals in my Costa Rican home are actively aware of the present social movements, and this has been a great resource to jump-start my regional education. Weeks ago, I traversed to the Congress building where I received a tour. Laura Chinchilla is the current President, and is the first woman to hold the position. She appointed her version of “the cabinet” to establish the priorities of her presidency. Those topics are discussed over the course of several months, and I came at the right time to hear about a few of them. Gay rights, however, did not make it to her list. The state of the human services agency that is run through the government may function gloriously, but my experience indicates that the leadership is somewhat unpopular at the moment. This organization exists to protect people against the social inadequacies or injustices that government produces. Currently, the man who is in the director’s chair believes that there is a cure to being gay. He has proposed this cure, and has received government funding for its implementation. 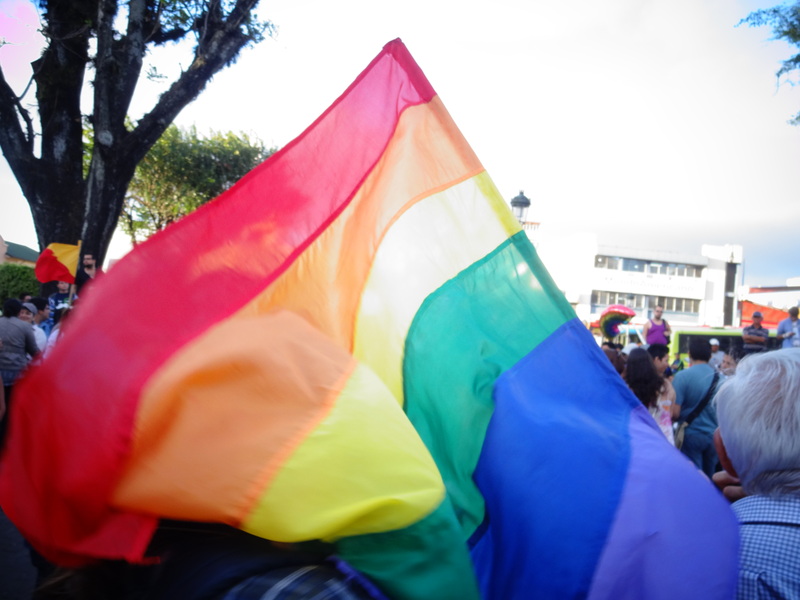 The LGBTQIA group, or “Los Invisibles,” which is an easy translation, feels that their rights have been infringed upon. In response, the LGBTQIA community organized a rally in the middle of San Jose that several members of my household and I attended. It was made public via the news, etc. Upon arrival, I expected there to be protest against the rally. I expected this event to be dangerous to attend. There was no noticeable protest – and in this place where I thought anger would be present – all that was visible was a peace-seeking community that had gathered to celebrate their difference. We, as a single unit, marched to the Ministry of Human Rights. Chants that were first sung into a microphone were then echoed by the moving mass. As we proceeded, I witnessed the looks of hope and happiness displayed across the faces of the crowd. My family and I stood next to a motorcycle that honked the rhythm of our Spanish chant. The character of this populace possesses an indomitable spirit that seeks to enlighten a people, and revolutionize a legal system. For if one chooses to see in black and white, he/she will gain a perception that will satisfy, but not exemplify existing complexities. If one could merely see in these two colors, his/her image would lack the depth that shades of gray provide. This country is struggling with the concepts related to health care, education, and gay rights, and much of this can be observably attributed to people living inside of a social box. If one matures without the ability to question, he/she will inevitably become a product of the surrounding environment. It is by starting the difficult conversations with people that one will find new and exciting perspectives that may challenge what he/she believes. I advocate for these conversations – because even if offered a perspective that contradicts one’s own – it produces a more open mind, or a deeper understanding of a previous belief. Hiding from difference will only continue ignorance, while embracing it promotes a future that can speak and operate across it.